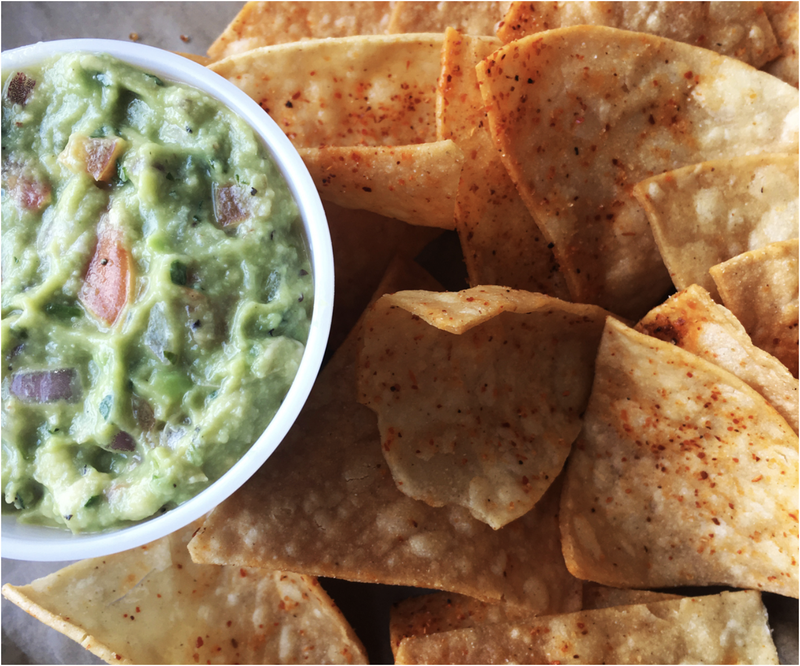 Chow down on inventive tacos, cheesy corn you’ll want to bathe in and top-notch guacamole at Tinga Tacos, now open for lunch, dinner and late-night munching in downtown Springfield. Dec 04 2017 at 4:35 p.m. The Fruity Piggles (top) and Tinga Taco (bottom) sit pretty before being inhaled by a 417 staffer. Lately my taco senses have been tinga-ling, and it’s most likely due to the new taqueria occupying the old Brick Slice House location. 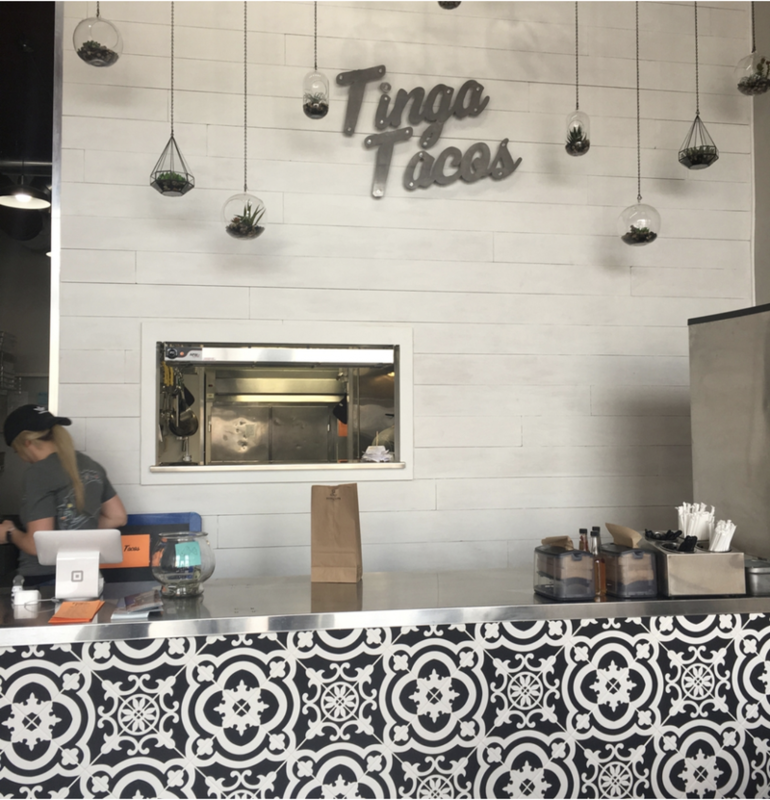 Tinga Tacos (308 W. McDaniel St., Springfield, 417-831-8007) is the brainchild of Anne and Clayton Baker, along with business partners Jessica Oliva and Tommy Hong. The restaurant opened in mid-November, turning McDaniel Street’s late-night pizza palace into a bright, sunny slice of taco nirvana. 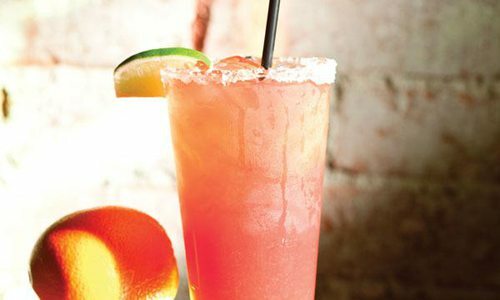 Walking in, any booze-addled memory of Brick Slice House’s late-night grease-splattered atmosphere was erased. The previously dark counter got a tile facelift, and white walls, houseplants and vibrant orange chairs make the decor look as fresh as the tacos flying out of the kitchen. Its kitchen is small, but Tinga’s menu is mighty. 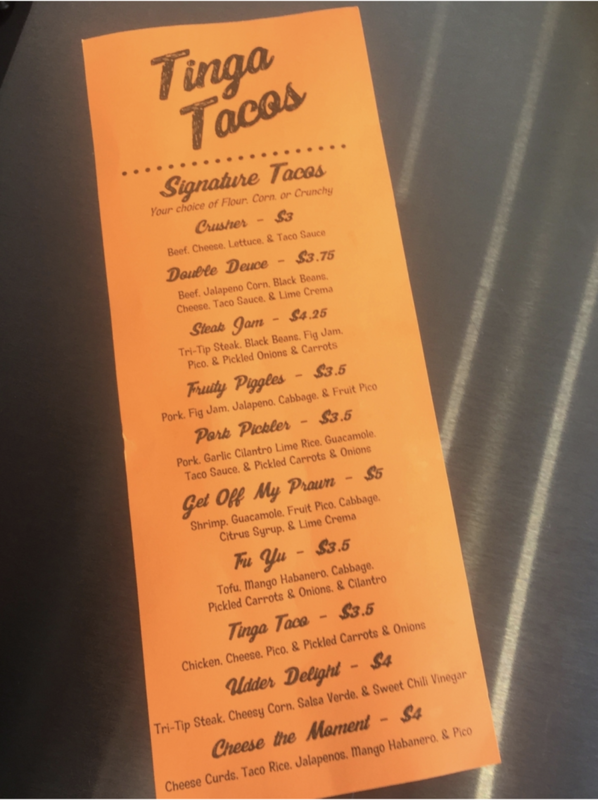 One side of the menu is build-your-own style for taco connoisseurs confident in their flavor-combining abilities. I, however, am no Bobby Flay. 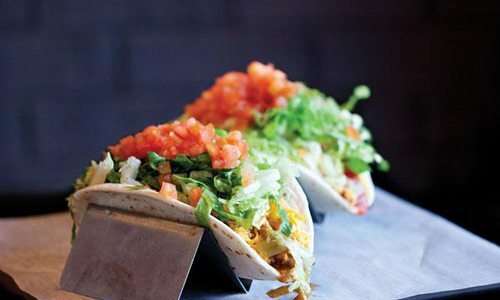 Fortunately, Tinga has 10 signature taco options that run from $3 to $5 and feature inventive ingredient combinations. Don’t even try to tell me you would have thought to put cheese curds and mango habanero salsa together on your own. I opted for the Get Off My Prawn—with shrimp, guac, fruit pico, cabbage and lime crema—and the Pork Pickler, which includes pork, garlic cilantro lime rice, guacamole, taco sauce and pickled carrots and onions. 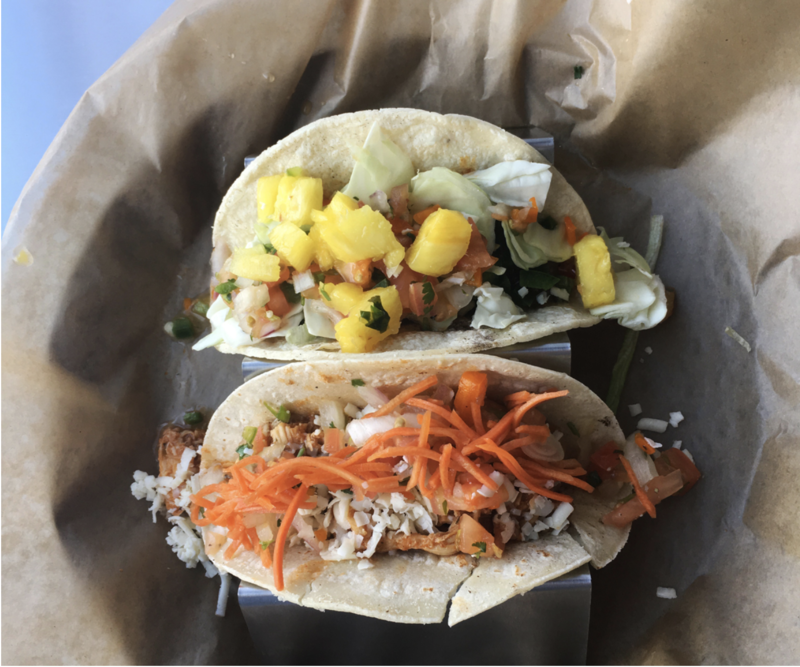 The flavors were fresh with a great balance of tangy and sweet, and each taco had an ideal mixture of textures. 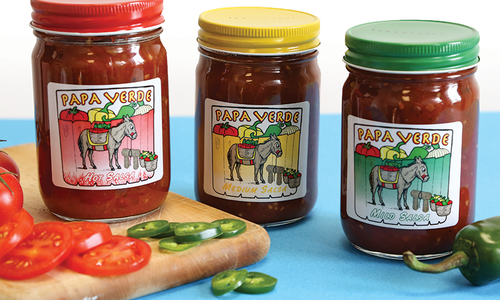 If you need a little extra sauciness, top your taco off with Tinga's sweet pepper vinegar. Although the tacos are cheap, they’re substantial enough that two can fill you up for lunch. (This isn’t Great American Taco Co., though. Don’t expect a taco as big as your face.) However, carb-monsters that my friends and I are, we couldn’t resist trying the chips and guac. 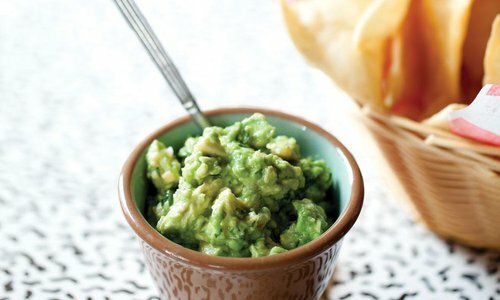 The thin chips are dusted with some sort of addictive seasoning, and they form the perfect vessel for scooping up the chunky, lime-y guacamole. With winter creeping around the corner, Tinga Tacos provides a bright, fresh escape from the dull grayness outside. And if you can’t swing by for lunch, Tinga is now open from 11 a.m. to 2 a.m. Thursdays through Saturdays for those of you looking to replace your late-night pizza indulgences with something a little crunchier.